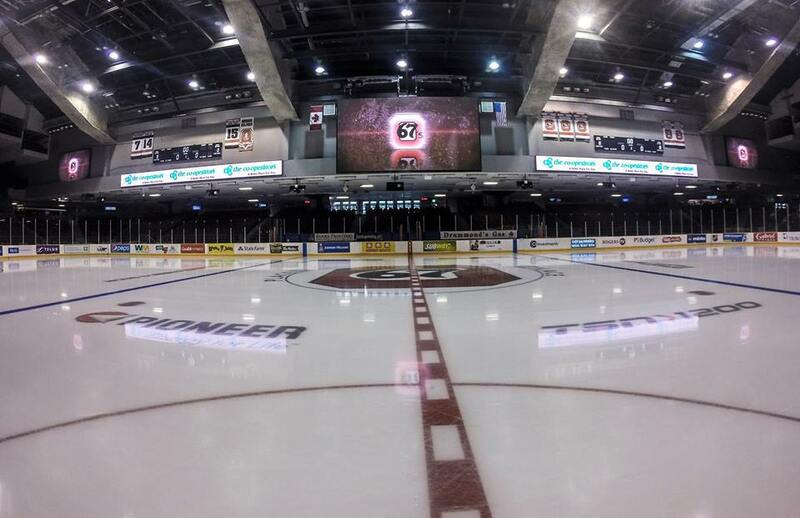 Littlejohn Coliseum: LED Video Assets, Scoring, CATV/IPTV Hybrid, Interactive Kiosks, Concourse Integrated Digital and Static Signage and Displays. Allen N. Reeves Football Complex: Coaches Video Solutions, Presentation AV, Control Systems, Player Recruitment Areas, Distributed Audio, CATV/IPTV Hybrid. 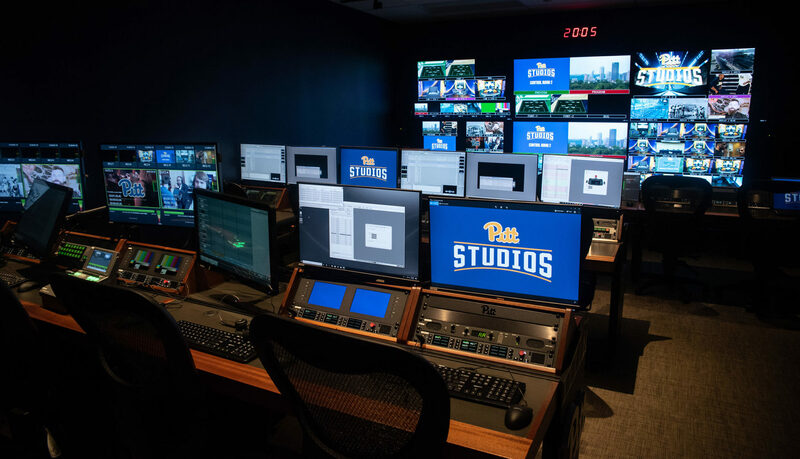 ACC Broadcast Production Facility: Production Facility, Broadcast Facility Cabling and Plant Design, Campus Fiber System, Augmented Reality and Studio Audio, Lighting, Studio Set Design, LED Display Systems. Doug Kingsmore Stadium: LED Video Assets, Scoring, Digital and Static Signage. Riggs Field: LED Video Assets, Scoring, Digital and Static Signage. Campus Digital Signage Network (In Progress): LED and Signage Solutions, Interactive Kiosks, Videowalls, Content Management System. New Softball Stadium (In Progress): LED Video Assets, Scoring, Digital and Static Signage. Hoak Sload Tennis Center (In Progress): LED Video Assets, Scoring, Digital and Static Signage. Indoor Track and Field Complex (In Progress): LED Video Assets, Scoring, Digital and Static Signage. The arm’s race in video board technology has stopped at the doorstep of Clemson’s Littlejohn Coliseum. 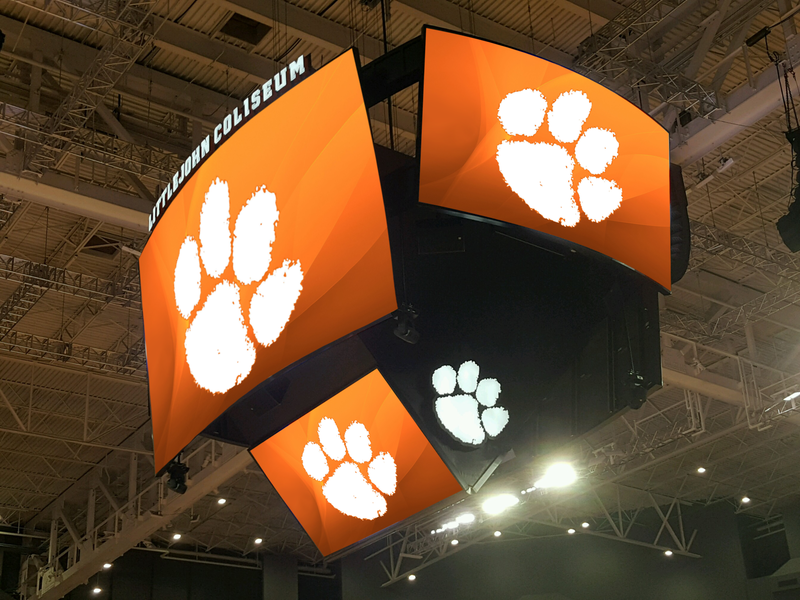 Scoreboard manufacturer Daktronics is currently building a new center-hung video board [designed by Anthony James Partners in partnership with Clemson] as part of the arena’s $63 million renovation. 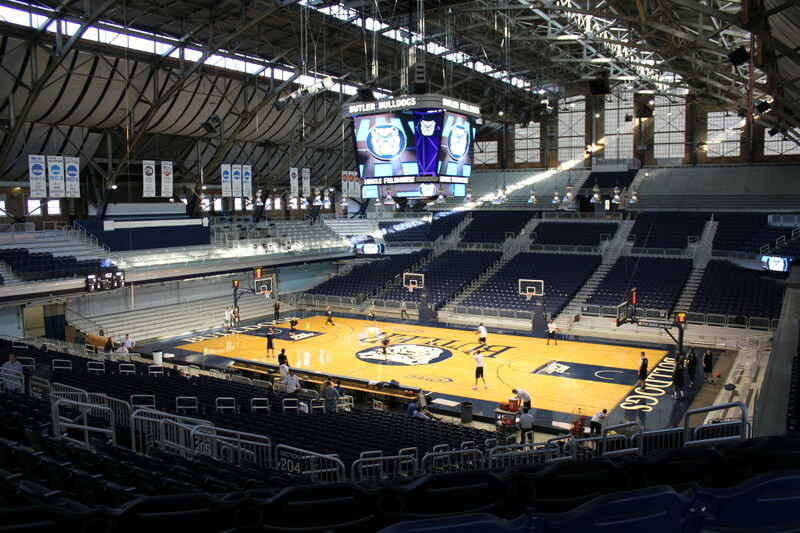 The board’s two primary screens are curved structures and measure about 16 feet tall and 28 feet wide, making it the longest board Daktronics has produced for a college basketball facility. All told, there are six screens totaling 1,500 square feet of display space tied to 6 millimeter LED technology. For the moment, Clemson can call itself the king of college hoops when it comes to monster video boards. At some point, though, given the advances in video technology and design, another major school will step up and claim the crown. 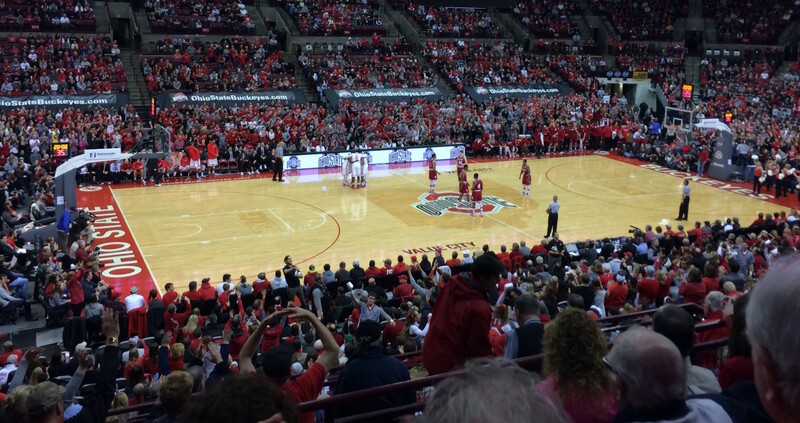 It’s a trickle-down effect from the NBA and the major leagues, where video boards for the most part are getting bigger and more sophisticated to improve the fan experience in the age of high-end home entertainment systems. When Littlejohn Coliseum reopens for the Clemson men’s and women’s basketball teams this fall, it will be different in many ways than when the Tigers last played there more than a year ago. Littlejohn, which originally opened in 1968, has been under renovation since May 2015. The project forced the Clemson men to play off-campus last season, at Bon Secours Wellness Arena in Greenville, while the women played in the smaller Jervey Gym facility. Clemson expects work to be worth it. The university remains under its $63.5 million budget for the project, said Joe Simon, associate athletics director of facilities management. Simon said although construction is set to continue for three to four months, Clemson is confident Littlejohn will be ready for the 2016-17 season. The basketball teams might not be able to fully move into Littlejohn until three or four weeks before the season, but Clemson expects them to be able to practice on the new floor by mid-August. One of Clemson’s major points of emphasis in renovating Littlejohn Coliseum, Simon said, has been making a commitment to improved technology. 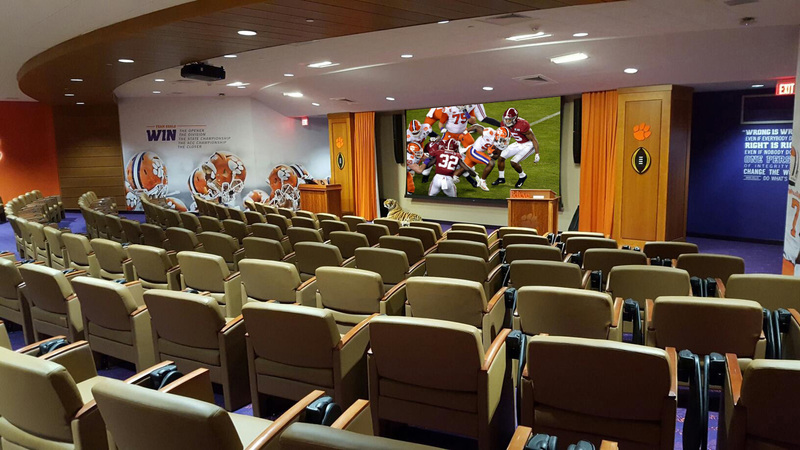 In a time when “you’re competing with the couch,” as potential spectators have the option of staying home and watching games on high-definition TV, Clemson recognized a need to add new innovations to its arena while also improving its Wi-Fi and cell phone coverage. At least some of those technological improvements will be evident to guests as soon as they enter Littlejohn. The South Hall, which will serve as the main entrance, will welcome fans with a pair of large video boards. Taking center stage inside the arena will be Littlejohn’s new scoreboard. 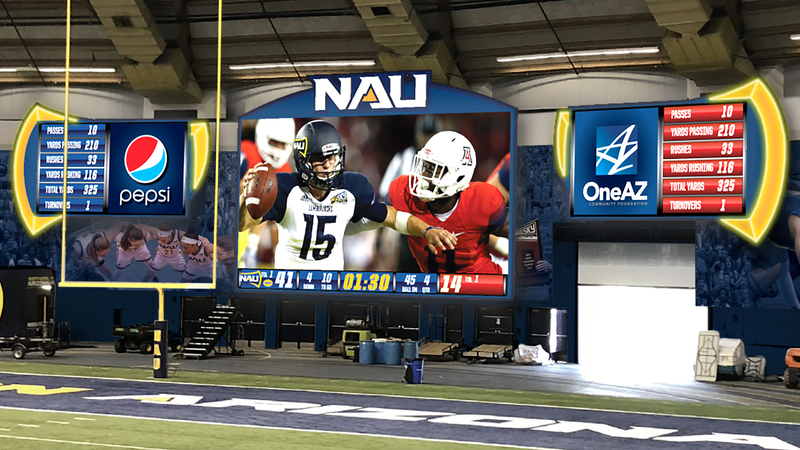 Featuring a total of six screens, the scoreboard’s main displays will be 16 feet tall by 28 feet wide, making it the longest curved display Daktronics has put in any college arena. Littlejohn will also have ribbon board displays — 17, in total, of varying lengths — that will cover nearly the entire circumference of the arena. There’ll be more than 100 television screens inside Littlejohn, while the new sound system will be distributed throughout the concourse. With technological advances in place, Simon believes “the sky’s the limit” on what Clemson will be able to do with Littlejohn. 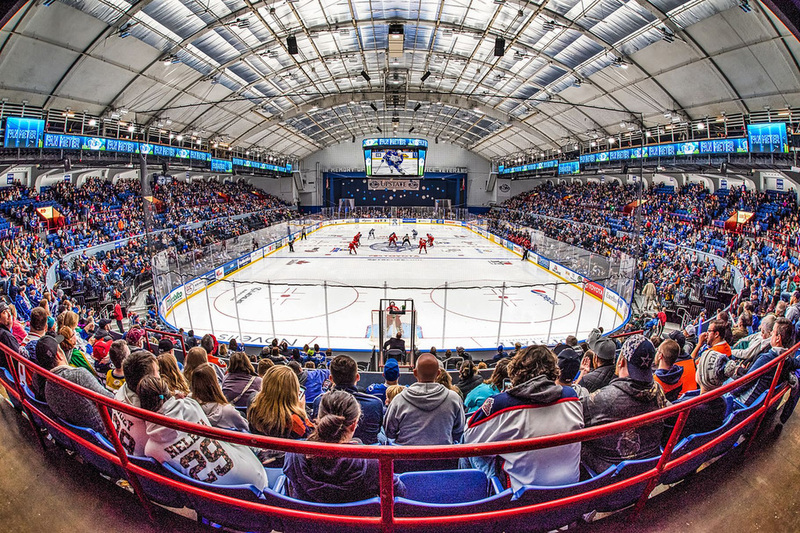 “Fans are going to have to work with us the first couple games,” Simon said. “There’s obviously a little bit of a learning curve … but we certainly hope that when you walk in game one, it’s significantly better than it was and we hope by game 10, it’s even better than it was from game one.